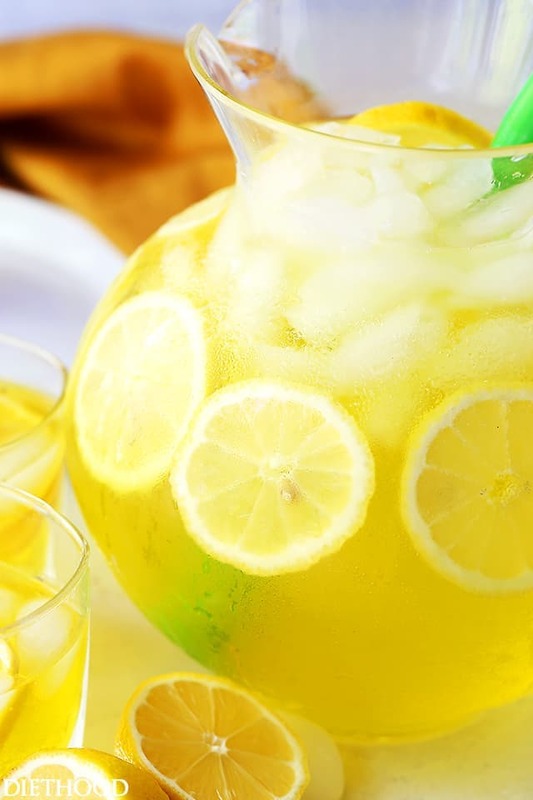 Happy Hour Lemonade – A fun and delicious twist on traditional Lemonade with 7-up, vodka, gin and triple sec. 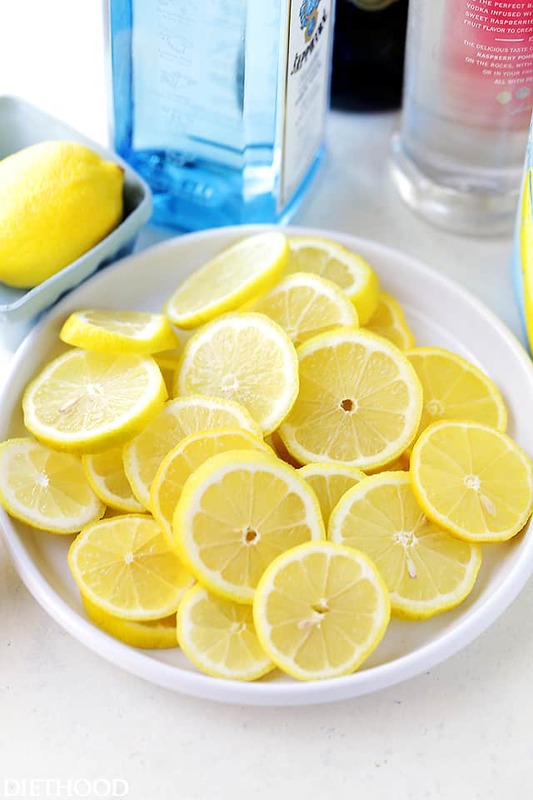 Perfectly refreshing and bright, everyone always comes back for more! OH! Hey Hey Hello! TGIF, friends! For me, this week just flew by, I can’t even remember talking about that awesome Baked Oatmeal, nor can I recall all the ingredients I used in my Fiesta Rice. Good thing this internets stuff exists – all I have to do is hit the back button. YAY for the easy life! But, I’m in a lemonade mood right now. And by mood, I guess I mean phase. I’m really into it, especially when there’s a twist. Like a big ole bubbly and boozy twist. I’m into it. I haven’t had a babysitter in over a month now, and wherever I go, including Target (YES, I take my kids to a babysitter, aka my Mom, when I need to run to Target because ➡) the little ones have to come with me and it’s a scream fest. I’m no Mom expert, but taking kids to Target?!? DON’T! Every Pet Shop toy, every Barbie, every darn Frozen themed ANYTHING!! All of that HAS to make it to the cart. And when I leave those toys at the register, asking the kind cashier to put them back, well… can you just guess what happens? Yah. Scream Fest 2016. It’s dang loud. And sometimes very embarrassing. ON the other hand, they really are well behaved, nice kids, but something happens when they see toys. There’s a switch and they turn into monsters. I LOVE my babies so much and thank God daily for them, but you know… as evidence states, mommy life calls for a Happy Hour Lemonade. BUT. Seriously. Lemonade and vodka? And gin? I’m losing my mind, right? For a good reason, though – I’m celebrating ME! AND ALL YOU MAMAS, too. If you’re hosting a Mother’s Day Brunch or going to a summer picnic soon, AND want to mix up something tasty, hit the print button now! But, no, really. 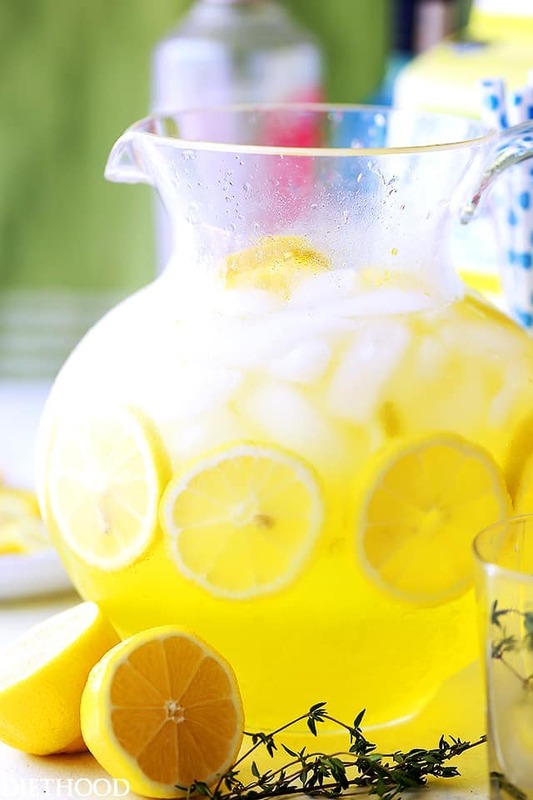 This lemonade recipe is pretty darn good and simple to make. 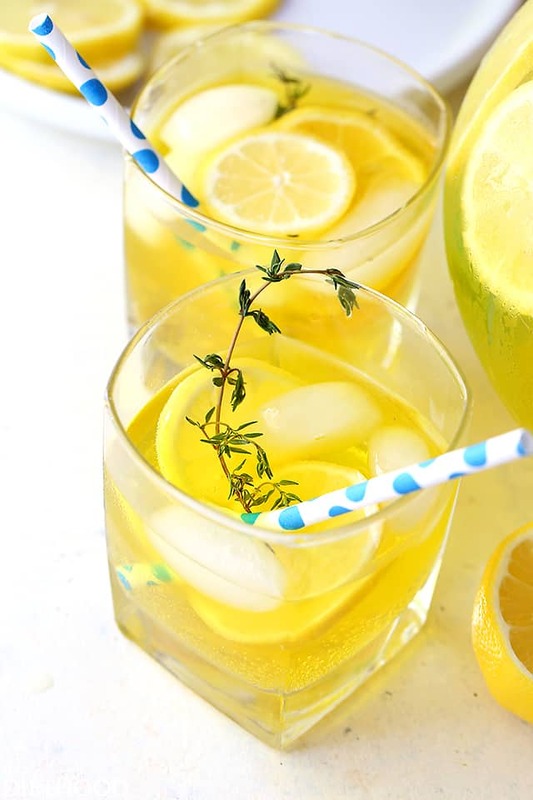 I picked up a carton of Just 15 Calories Lemonade by Minute Maid, then, I sweetened it with a bit of simple syrup and 7-up, added whatever booze I could find in our boozy pantry and voila! 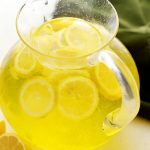 Wonderfully tangy, sweet, refreshing and incredibly easy to make Happy Hour Lemonade! Get on this. Sunday is OUR day – we deserve it! 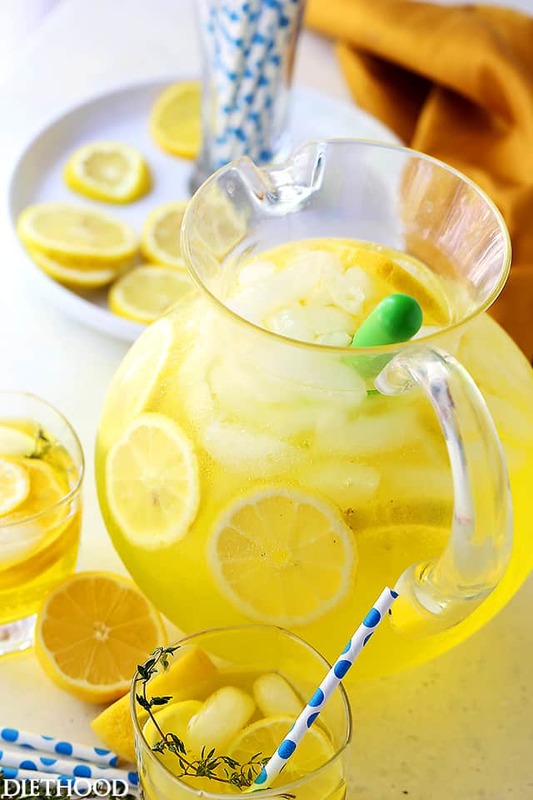 Happy Hour Lemonade - A fun and delicious twist on traditional Lemonade with 7-up, vodka, gin and triple sec. 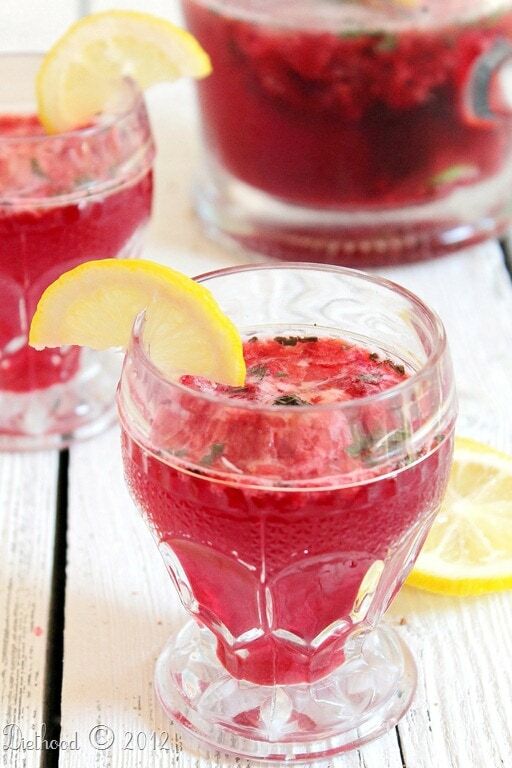 Perfectly refreshing and bright, everyone always comes back for more! In a small saucepan, combine water, sugar, and sprigs of thyme. Bring mixture to a boil; lower to a simmer and continue to cook for 5 minutes. Remove from heat, stir, and completely cool in the refrigerator; about 15 minutes. 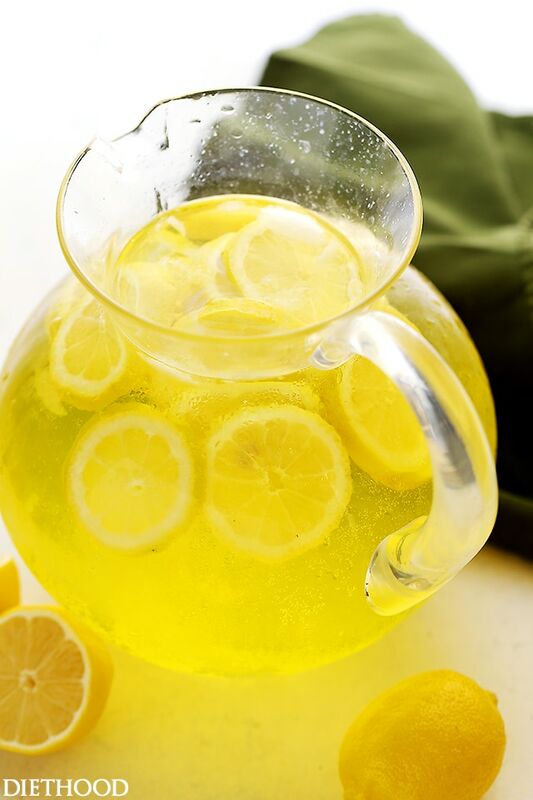 In a large pitcher, add lemons, lemonade, 7-up and prepared simple syrup; gently stir to combine. Stir in vodka, gin and triple sec. Refrigerate for about 2 to 4 hours. Maybe skip the simple syrup and the 7-up? Isn’t this insanely sweet? Kind of killed the point of the 15 calorie lemonade. Or make thyme simple syrup and add to fresh lemon juice and mix with gin or vodka. I’m pretty sure this drink would make the happiest of hours! So pretty too! 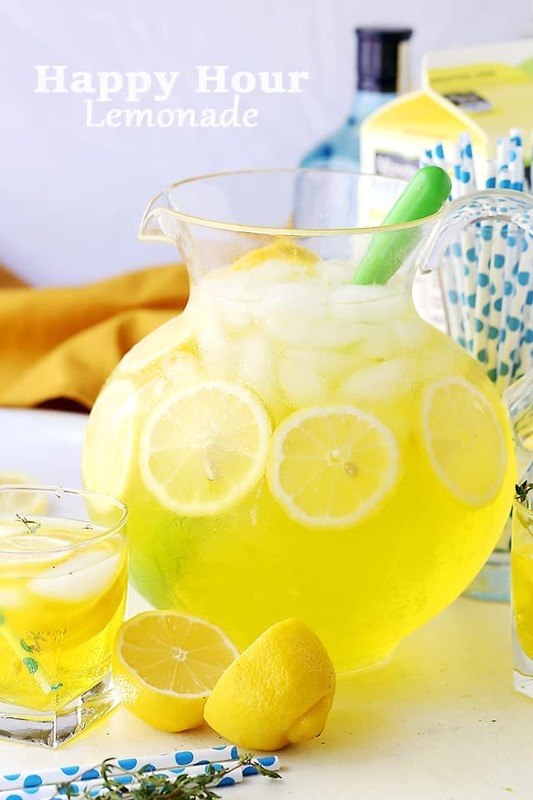 This is a great lemonade for adults! Thanks for sharing! 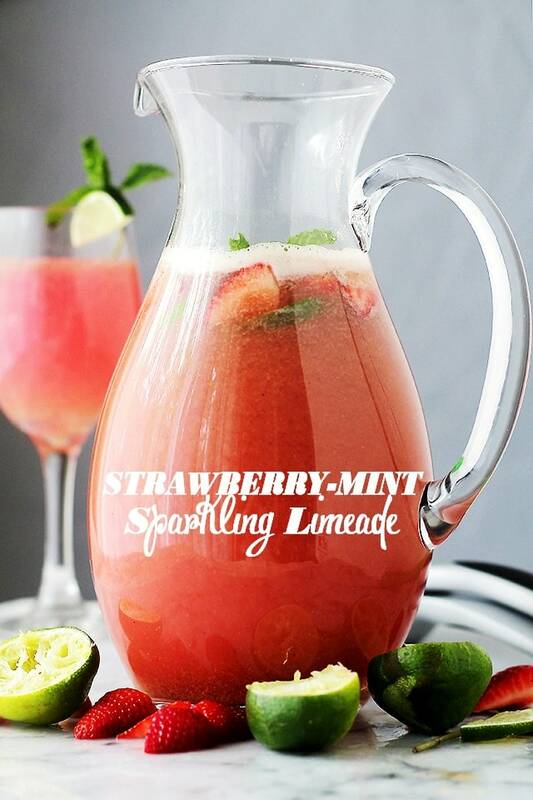 Looks like the perfect refreshing drink for the summer! Plus it’s so pretty! Nothing like a little Snoop Dogg to start off your post. 😉 Delicious looking recipe. Oh goodness yes. I need a batch of this in my life like yesterday!